The Dodgers have reportedly found their new hitting coach and they didn’t have to look further than their own National League West division. Former Arizona hitting analyst Robert Van Scoyoc will reportedly step out of the office and data room and into the dugout to take over the reins from Turner Ward. The Dodgers should also soon be announcing their entire coaching staff for 2019 with Dino Ebel taking over as third base coach. The hirings have not been made official yet, but expectations are the club will announce it soon. Scoyoc is supposed to be a launch angle and hitting expert. 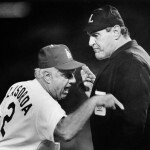 He’s also served in some hitting consultant capacity previously in the Dodger front office. Most recently he’s been credited with changing J.D. Martinez’s swing. Martinez recently won a World Series with Boston, after having a career year at the plate. After all Martinez did hit .330 with 43 home runs and drove in 130 runs in 2018 which helped lead Boston to the World Series against the Dodgers. I don’t know if Van Scoyoc had any input in Martinez becoming one of the best hitters in baseball over the past few seasons but we can’t ignore how Martinez went from sucking with the Astros early on in his career to becoming the beast of the American League in Boston. Perhaps Van Scoyoc had something to do with it. Check out this interesting piece and podcast from Rob Bradford. Either way Van Scoyoc could be instrumental in making the Dodgers even more infuriatingly swing and miss in 2019. If you think the Dodgers were all or nothing in 2018, just wait until next year folks. But man oh man what a name on this guy. I have no idea how to spell or pronounce it. Welcome back to the Dodgers Robert! Well, this news of new hitting coach is not too promising. All they needed was a new Launch Angle expert. Prepare for more KO’s, and wasted scoring opportunities. Dodgers were remarkably 5th in MLB batting last year. AZ was 20th…..what a frickin’ joke. Hope he remembers how to put an a uniform…. he might forget and put his pants on backwards. Also new third base coach is an Angel Reject? …. Give me a break. So what if he managed at Rancho Cucamonga. Launch angle is OK to concentrate on when you hit .330. But when you hit .240 you need to focus on making contact first. Or sign better all-around hitters. More “soyboys” join the organization. Yipee! Great a more unwatchable and far from entertaining product. They must be trying to lose fans. I didn’t think it was possible but I’m very close to becoming a non-MLB fan. It happened to me with the NBA, I don’t watch one minute of games or one minute of highlights anymore, the game is a total abortion to the past concept of basketball, and completely lacks any entertainment value for me. True Blue, I am with you. I lost intrest in NBA 3 years ago. MLB, I used to go 30-40 games a season, now I’m down to 1 or 2. I will always be a baseball fan, and Dodger fan, but I refuse to waste my hard earned money to watch a boring game and pay for $17 beers. I just settle for free radio, anymore, but that too, has ben excruciating, having to listen to Charlie and his Steiner-isms. However Charlie is Vinny compared to Oral and Joel (the washrag) Davis. This is one of the things I really dislike about Friedman. You would think there is someone in the organization that is well qualified to be the hitting coach. This guy supposedly worked with Chris Taylor when he revamped his swing. Great, more strikeouts from a guy who should be thinking nothing but contact. It is already bad enough that Taylor does not shorten up with 2 strikes, now with his guru here he will most likely swing from the heels all the time. Well, we will see. Let us check out what they look like in spring. Entertainment value has already dropped with Ward leaving and no more of Yasiel laying one on him after a homer. Well then we can look forward to more K’s with RISP throughout the year but honestly, maybe a 90+ loss season just might get ownership to change some direction as far as this FO goes. At this point in time i just cannot see Dodgers getting anywhere close to a 3rd WS appearance and truth be told I don’t think I could stomach 3 consecutive WS losses. Dodgers have more WS losses 14 than any other MLB team and I don’t believe it’s even close. 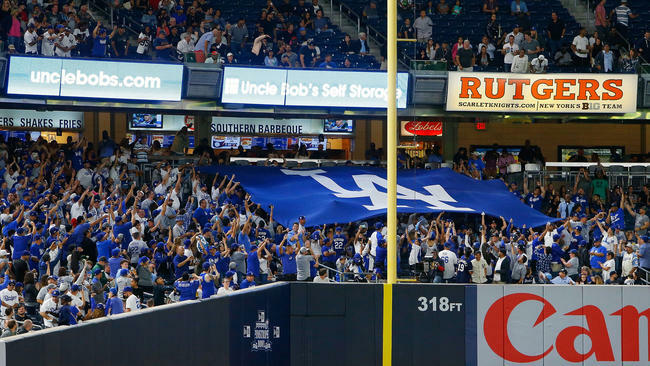 the Dodgers as a team struck out 1,436 times during 2018 and only 5 teams in NL struck out more. Van Scoyoc has taught the importance of hitting the ball in the air, remaining on plane within the strike zone, shooting breaking balls to the pull side and timing fastballs to the opposite field. Those concepts run counter to baseball tradition, but they have become popular within the game this decade. Martinez’s reinvention and ensuing successes contributed to rise of Van Scoyoc and Wallenbrock, as did Josh Donaldson and Justin Turner’s similar evolutions. Donaldson worked with Bobby Tewksbary and Turner with L.A.-area coach Doug Latta, but the teachings share similarities. You are tight there Bluto. I was taught to make solid contact and try to hit line drives. Just because it works for Martinez though does not mean it is going to translate to all hitters. My thinking says you have to teach each hitter according to his skills. Launch angle works for Donaldson, Turner and Martinez, and for a while it worked for Taylor. But now he is too pull happy and launch happy. Not a good combination for a player like him. Bellinger, who has a beautiful natural swing is going to totally be ruined if some guy preaches launch angle to him. That was all courtesy of The Athletic. I get it. Players prove they know more than the pundits. 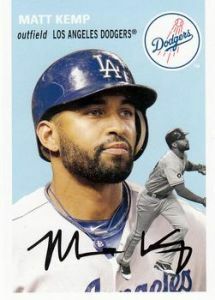 Matt Kemp wins the players choice awards comeback player of the year. Congratulations Matt…..well deserved…..season would have been even better had dumbass Dave not benched him for long periods of time……..One of the few who was consistent most of the year. Bellinger used to swing through the zone, but has fallen victim to the launch angle theory. That golf swing will only work in Tee-Ball. Once in a while he shows potential to have better at-bats, then he quickly returns to his faults. Others who have suffered with launch angle are Pederson and CT3. Thanks to Friedman, his new batting coach of choice is a “Launch Angle” guru, so look for the golf swings and KO’s to continue… not too promising.